The Department of Computer Science And Engineering established in the year 2008. The department includes well-equipped laboratories and highly qualified faculty members and accredited by AICTE. 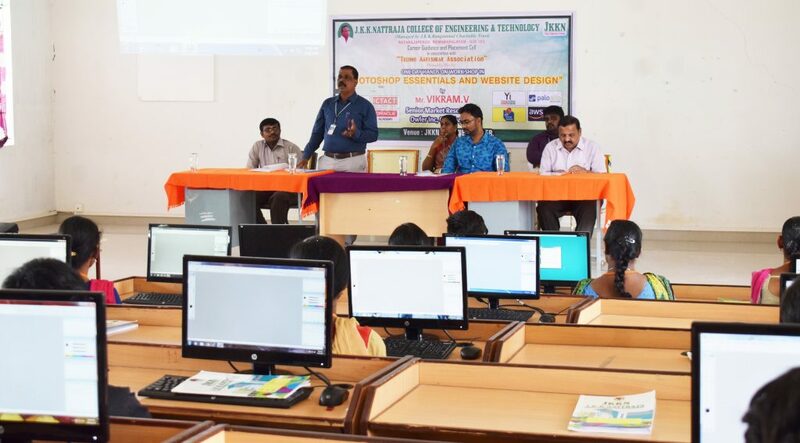 The mission of the department is to induce the student with up to date technologies and encouraging them to participate in Seminars, Paper presentation, Conferences and In-plant training. All staff members in this department are well qualified with postgraduate qualification specialized in the area of Computer science and Engineering and Software Engineering. This department has dedicated staff members who are putting maximum effort to make the students to achieve good results. Every 10 students are provided with one proctor, as a caretaker. The department has more than 350 computers and the end-user conveniences. The laboratories edify new softwareâ€™s of all brands and latest configuration. The CSE department is known for its State of â€“the-art multimedia laboratory. Besides, the lab is absolutely privileged with high bandwidth internet connectivity. The labs are effectively air-conditioned to create an ingenious and professional work environment. Precisely, the department is totally dedicated to maintaining a lovable student-faculty relationship to enhance the quality of the intellectual growth of the students. As a matter of fact, our students are encouraged and highly supported to carry out mini-projects during their course of the student to enrich their subject efficiency professional expertise. Above all, the institution earned its respect from the students who are placed in reputed IT companies like CTS, INFOSYS, HCL, and TCS and so on. J.K.K.Nattraja College of Engineering and Technology, located in the rambling campus of 40 acres, in Salem to Coimbatore National Highway nearby Kumarapalayam town. It was started under the flagship of institution J.K.K.Rangammal Charitable Trust. Copyright © 2018 J.K.K.Nattraja College of Engineering and Technology, All Rights Reserved. J.K.K.Nattraja College of Engineering and Technology - Kumaraplayam is recognized as an authorized training partner for BOSCH BRIDGE Skill Development Training Programme. The 10th Passed School dropouts can get enrolled in this program with an affordable cost, The enrolled candidates will be trained on the life skill programs and they will be issued a corporate certificate and they will be offered placement assistance. The class will start on December 1, 2018, @ College campus.